At Alcomij we continuously work on the modernisation of our own production facilities. In this way we ensure that our production capacity perfectly matches the current market demand. For that reason we did not only replace our old sawing machine by a modern Kaltenbach APS short saw recently, but we also added an identical second one. Kees Pronk, production leader of the aluminium department: ‘With these two “Rolls Royce’s” among the saws we not only increased our sawing capacity, but we are now also capable of sawing different lengths fully automated’. ‘The saw cut of this short saw is very precise and neat, which is an advantage for the robot-driven production of our flower trolleys’, adds Pronk. As company, we operate in a modern and sound way, grasping all opportunities as soon as these arise. Our in-house production departments are driven by quality and innovation. They work continuously on improvements to our production facilities and invest in the modernisation of our machine park. This modernisation ensures that our production capacity is a perfect match for current market demand. 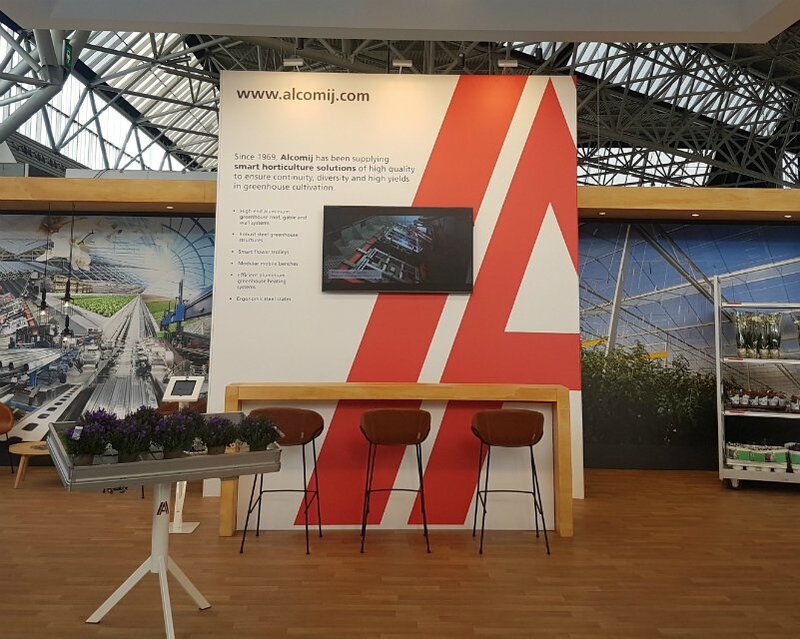 Visit us during GreenTech 2018!